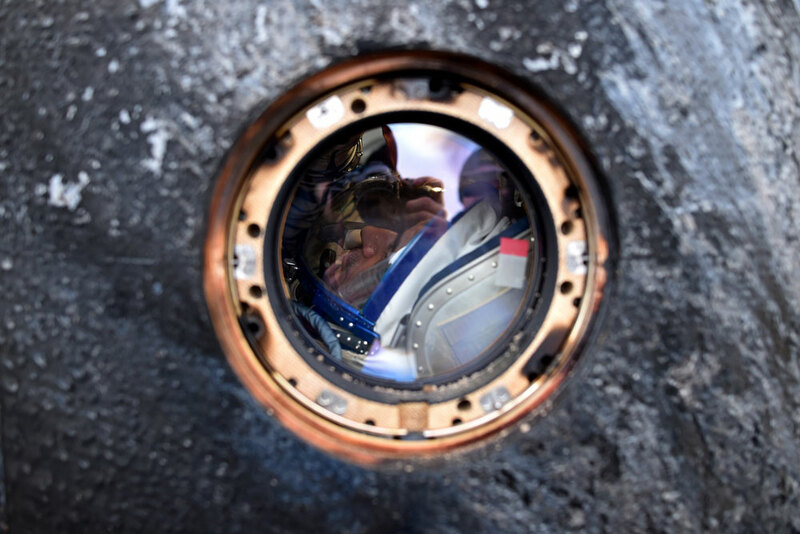 International Space Station (ISS) crew member Mikhail Kornienko of Russia is seen inside the Soyuz-TMA-18M space capsule after landing near the town of Dzhezkazgan, Kazakhstan, Wednesday, March 2, 2016. U.S. astronaut Scott Kelly and Russian cosmonaut Kornienko returned to Earth on Wednesday after spending almost a year in space in a ground-breaking experiment foreshadowing a potential manned mission to Mars. Kazakhstan. Trois astronautes, dont le Russe Mikhaïl Kornienko, ont posé le pied sur Terre mercredi.